The latest to enter in the 4G plan slippers is the Vodaphone. Earlier, the other day it was promptly announced that the 4G enabled connectivity will roll out from the house of Vodaphone on 29th of August. The other company who have previously announced to make as their D-Day for the 4G release was the O2’s. It really seems to be healthy and drifty competition between the connectivity network giants in UK to give in their best shot. 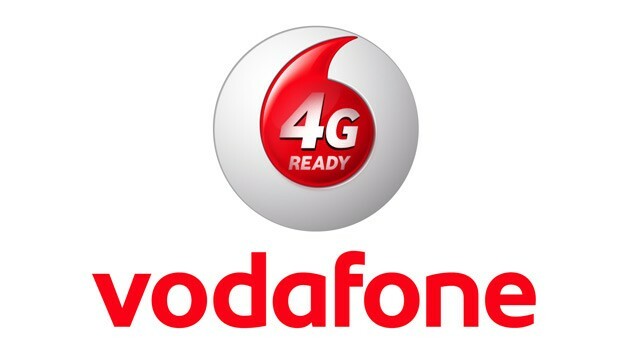 Aiming to bring in a good competitive spirit and a bucket of choice for the users in UK, the Vodaphone officials had made it very clear in stating that they will launch their 4G project on the same day as O2’s. The customer driving point of the Vodaphone is like they will be offering a lot of sportify and sky TV channel subscriptions that will be a great deal of interest for the people to get into it. The tariff plans made by the Vodaphone also is quite likely be a tempting one to opt for them over the O2’s. The officials of the Vodaphone group had commented on the describing their yet to be launched 4G connection as the speed to be just beginning. There seems to be a host of other entertaining factors that will revolve around it which will be available to the users in the coming days. The sport section will change a never seen leap and the music flowing can be easily customised on the want of choice. As promised by the Vodaphone group, there will be lot of goody bag offers in their 4G plan to offer to the public. As the early anticipation rolls in, the Vodaphone has brought in a range of Red coloured 4G plans, which is expected to be on the stores and the online arena as well as in mobile phone devices from the 12th of August. Most of the users, who already have a 4G enabled device ready with them, will just need to shell out £5 over their existing tariff plan for the monthly expenditure. This is all the users need to do to upgrade to 4G connections. On the upgrade of 4G connectivity, the users will get in a lot music for free and packaged with sports subscriptions to enjoy. If people who are feeling interested with super high speed of the connection of 4G of Vodaphone and does not have a 4G enabled device even they can enjoy it. The users can apply for registration of the tariff plan of 12 months or the max of 24 months and it can be even possible for the ones who never have used a Vodaphone connection also. The Vodaphone giants will also be sprouting with the options of 4G SIM ready plans of connectivity of 12 months, 18 months and 24 months respectively. Most of the plans from the 4G connections come in with the unlimited facility of calling and texting. All in all looks like the UK users have finally out some alternative users with the 4G connection. The tariff plans and the opportunities to watch in great and high speed work process feels like a dream come true now.